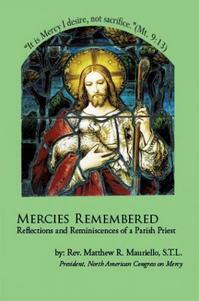 A recently published book of a parish priest, Mercies Remembered: Reflections and Reminiscences of a Parish Priest, is being presented at Waterbury’s Silas Bronson Library (267 Grand Street) December 6 at 6:30pm. Father Matthew R. Mauriello, STL, is a native of New Jersey and a priest of the Diocese of Bridgeport and is currently the pastor of the Church of Saint Roch (Greenwich, CT). Moreover, he is the president of the North American Congress on Mercy. Father Mauriello was given the honor of being an Honorary Canon of the Cathedral Basilica of Orvieto. The book is available at the link above on Amazon or from the author, Father Matthew. cell use and the implications and hope of the research. The book has 10 articles and an introduction published by the Social Trends Institute of Spain and the US which explores matters of family, bioethics, culture & lifestyles and corporate governance. One of the contributors to Is this Cell is Dominican Father Nicanor Austriaco of Providence College. 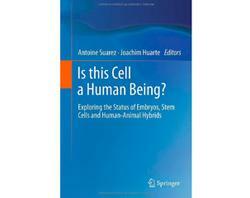 Father Nicanor is also the author of the popular monograph, Understanding Stem Cell Research: Controversy and Promise (www.kofc.org/un/en/resources/cis/cis326.pdf). The CNA article is here. Much has been said about Anthony Cekada’s book Work of Human Hands, some of the critique is lazy, or rigidly steadfast to one’s limp opinion. Nothing is so relevant as information, and nothing so problematic as ignorance (being “untrained”). My hope is that we’d not be too preoccupied by our our thinking; I have confidence that Truth can be revealed in honest thinking and dialogue. The sacred Liturgy, because of its import in our worship of the Triune God, needs to be faithful to Christ and to the Tradition the Church. Cekada’s work is a sizable and it deserves attention. 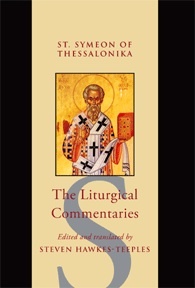 Because of my interest in the sacred Liturgy I am re-posting the book review originally posted on the New Liturgical Movement blog. I am grateful to Dr Alcuin Reid for his tour of the work and the author, and to Shawn Tribe for posting Reid’s review. 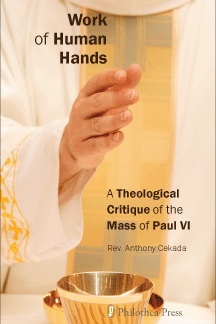 Anthony Cekada, Work of Human Hands: A Theological Critique of the Mass of Paul VI, Philothea Press, West Chester, Ohio 2010. I have long been in Father Cekada’s debt, for it was his booklet The Problems with the Prayers of the Modern Mass that alerted me almost twenty years ago to the significant theological difference between the pre-conciliar and post-conciliar Roman Missals. Work of Human Hands is by no means so succinct a publication. It is a substantial attempt to demonstrate profound theological rupture between the two, and more. It deserves serious attention. Some will dismiss this study because Father Cekada is canonically irregular and a sede vacantist. Whilst these are more than regrettable, ad hominem realities are not sufficient to dismiss this carefully argued and well researched work. We must attend to his arguments on their merits. The principal thesis is that “the Mass of Paul VI destroys Catholic doctrine in the minds of the faithful and in particular, Catholic doctrine concerning the Holy Sacrifice of the Mass, the priesthood and the real presence,” and that it “permits or prescribes grave irreverence.” His secondary thesis is that the Mass of Paul VI is invalid. His practical conclusion is that “a Catholic may not merely prefer the old rite to the new; he must also reject the new rite in its entirety. The faith obliges him to do so.” These strong, even extreme, positions may themselves repel readers. But again, they must be examined. Infinity Dwindled to Infancy: A Catholic and Evangelical Christology (Eerdmans, 2011) is due to be released in July. If you pre-order now, there is a discount on Amazon. Father Oakes utilizes a wide range of works taken from Scripture, theology and literature to explore the questions on the lordship of Jesus Christ. He’s attentive to the Magisterium. The concern is to know what the we, as Christians, believe and teach about who Jesus Christ is, and why. In this book the author is wants to answer this question: what does it mean for an infinite God to become man? 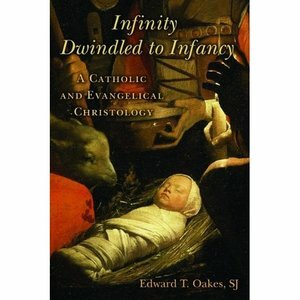 Infinity Dwindled to Infancy has three parts: the data, the history and the teaching on the identity and work of Christ. The work carries an Imprimatur from Francis Cardinal George, Archbishop of Chicago and the Nihil obstat from Capuchin Father Thomas Weinandy, theologian for the US Conference of Bishops. 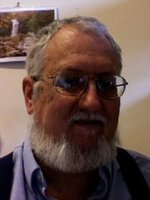 Father Edward T. Oakes, SJ, is a professor of systematic theologian teaching at Mundelein Seminary. He is a member of the some time meeting of the Dulles Colloquium (a theological discussion group that was organized by Father Richard J. Neuhaus and Cardinal Avery Dulles) and he is a member of the ecumenical theological discussion group Evangelicals and Catholics Together. Oakes is a frequent writer for First Things and several other periodicals. Oakes is the author of Pattern of Redemption and a co-editor of The Cambridge Companion to Hans Urs Von Balthasar. There are several translations done by Father Oakes of Balthasar to note.